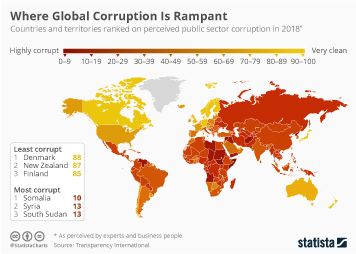 Transparency International has released its 2018 Corruption Perceptions Index which measured perceived public sector corruption in 180 countries and territories on a scale of 0 to 100 where 0 means "highly corrupt" and 100 means "very clean". 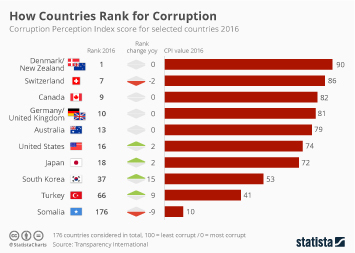 This year, Denmark had the best score with 88 out of 100, followed closely by New Zealand with 87. 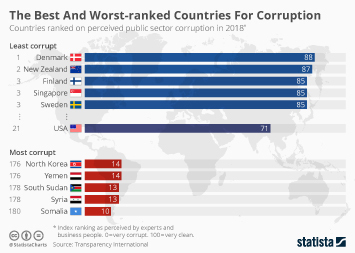 At the opposite end of the index, Somalia had the worst score with just 10 out of 100, followed by Syria, South Sudan, Yemen and North Korea. 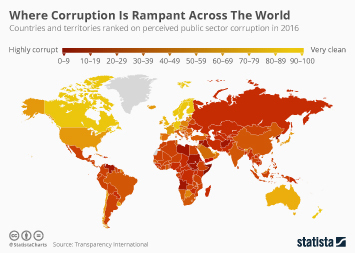 The United States only came in 21st with a score of 71, its worst performance in the index for seven years. 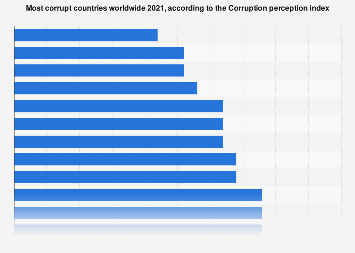 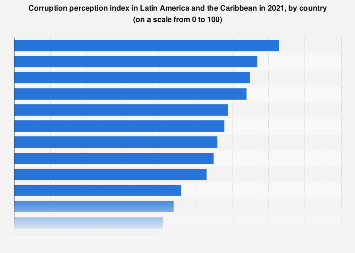 This chart shows countries ranked on perceived public sector corruption in 2018.